This beautiful, bright and spacious home (3 bedroom/2 bathroom plus Den!) is the definition of move-in ready. As you enter, you are greeted with natural light flowing through the home with the formal dining room to your right. The open floor plan makes for easy entertaining with the kitchen open to the living room. The kitchen has a newer refrigerator, flawless Corian countertops, and a closet pantry. The master suite boasts a large walk-in closet and direct access to the screened-in lanai. Master bathroom has a gorgeous garden tub and double vanity. There is no carpet in this home, just stunning ceramic tile and engineered hardwood which makes for easy cleaning and perfect for pets. AC is 2017. This home is nestled in the popular subdivision of Covered Bridge Estates. This community offers many amenities, including heated pool, walking paths, tennis and basketball courts, fitness room, and wonderful clubhouse that residents can rent for various events and activities. Close to I-75, this property has easy access to Ellenton outlets, shopping, dining, and a short drive to Sarasota and Bradenton. Schedule your private showing today! Directions:I-75, take exit 224. Left on State Road 301, then left on 60th Ave to Mendoza Road. Make a left onto Covered Bridge, then right on King Bridge Pl, Left onto Day Bridge, left onto Rock Bridge. SchoolsClick map icons below to view information for schools near 6619 Rock Bridge Lane Ellenton, FL 34222. MFRMLS data last updated at April 21, 2019 12:06:19 AM PST. Home for sale at 6619 Rock Bridge Lane Ellenton, FL 34222. Description: The property at 6619 Rock Bridge Lane Ellenton, FL 34222 in the Covered Bridge Estates Ph 7a-7e subdivision with the MLS# A4426305 is currently listed for $249,000 and has been on the market for 68 days. 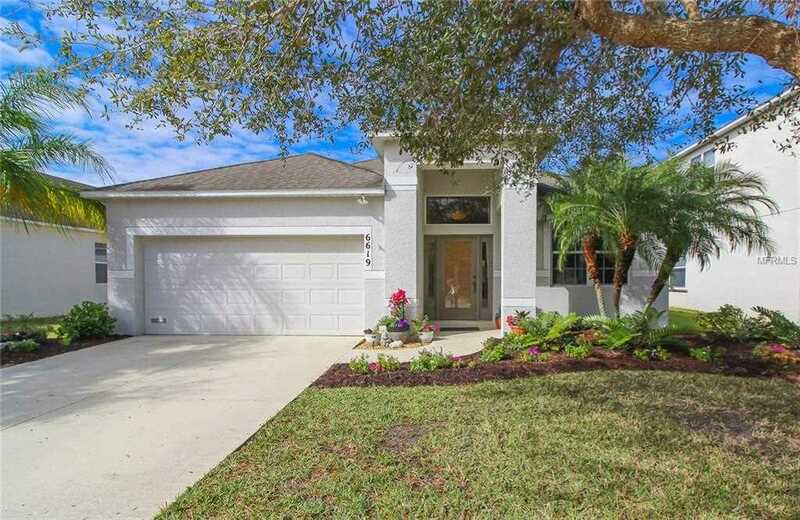 You are viewing the MFRMLS listing details of the home for sale at 6619 Rock Bridge Lane Ellenton, FL 34222, which features 3 bedrooms and 2 bathrooms, and 2035 sq.ft. of living area.